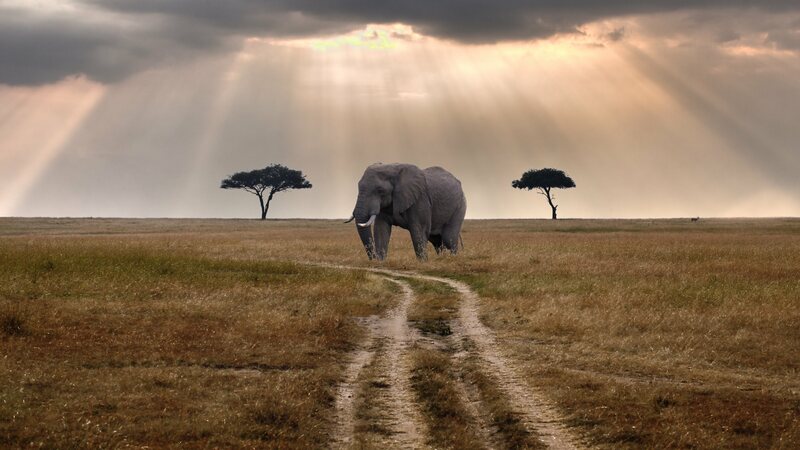 Africa is a place close to my heart. It is the destination I return to most often and the one I yearn for the most. My favorite adventure is spending time watching the unbelievable African wildlife. Africa is unparalleled for interacting and witnessing amazing animals and wildlife in their natural habitat. However, not every place in Africa is ideal for this kind of activity. Some spots are more popular than others because they offer a great experience while other places are only best to visit during a special period when the wildlife is available. However, by researching some of this destinations, it makes it easy for you to decide which places in Africa are best for seeing the wildlife you want to see and when. Here are top 5 African wildlife destinations that are considered to be the best to visit. Located in the northeast of South African. This is home to large mammals such as Elephants, Lions, Leopards and even Cape Buffalo. Furthermore, the Kruger National Park is also home to the African wild dog, which is very rare. Moreover, apart from these particular animals, there are also other creatures that are found here such as Bushbucks, Giraffes, Hippos, Zebras, Zaterbuck and even Crocodiles. The best time to travel to this great destination is during winter, which occurs during the months of May and September. During this season temperatures are favorable, and the risks of contracting malaria are minimal. Apart from giving you the privilege to watch the wildlife, Kruger National Park also provides accommodation in form of safari tents, cottages, bungalows and luxury lodges as well. 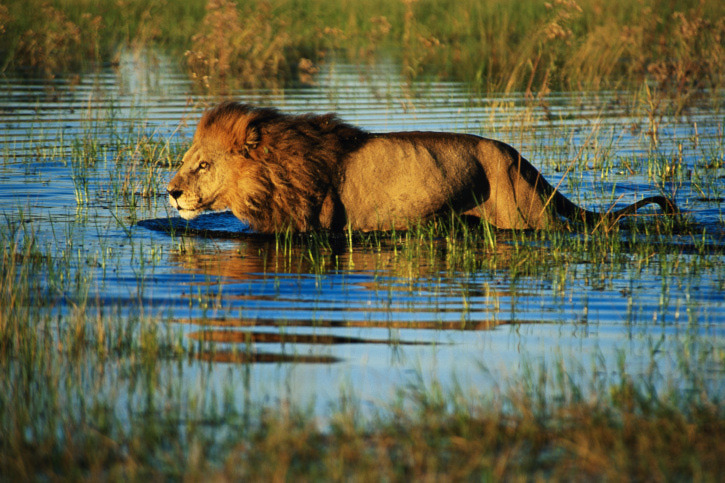 The Okavango Delta is located in Botswana, and it is considered to be one the best natural wonders of Africa. This amazing destination is home to a wide array of species including Buffalos, Hippos, Elephants and Wildebeest. 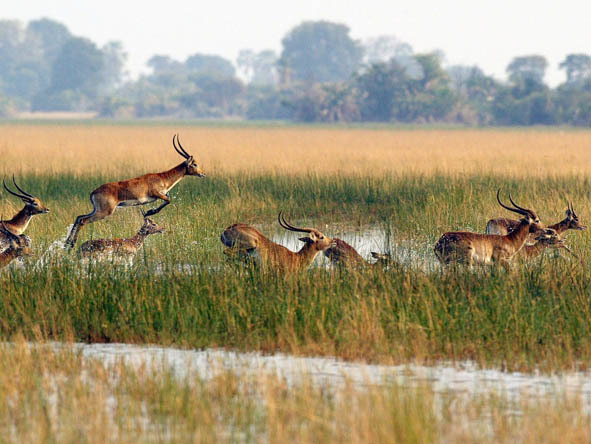 Other animals found in Okavango Delta includes Rhinoceros, Zebras, Lions, Cheetah, Crocodiles, Warthog, Baboons, Ibis and even the Lechwe antelope, which is the most popular species in this particular destination. Another reason as to why Okavango Delta is considered to be an ideal place to visit is because visitors can enjoy watching the wildlife from different vantage points. Botswana Safaris are available on horseback, in a canoe or even in a hot air balloon. This makes the tour more exciting since you can see all the animals from different points of view. Wildlife in Okavango delta is present throughout the year. During the rainy season, you have the privilege of watching plenty of herds and during the dry season, it is the best time for bird watching. However, you also need to acknowledge the fact that temperatures may range from warm to mild and sometimes may plunge just above the freezing point. The Maasai Mara is located in Kenya, and it is named after the semi-nomadic ethnic group known as the Maasai People. The Mara consist of grassy plains, cloud shadows and a wide array of wildlife. As you tour around this great destination, you can expect to see wild animals such as lions, cheetahs, leopards and even gazelles. The most appropriate time to visit the Maasai Mara is during the months of July and October. 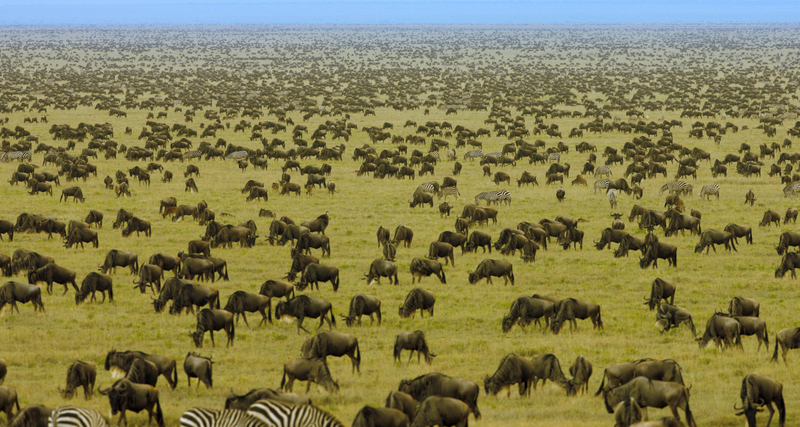 That is because the Great Wildebeest migration takes places during this period and only occurs once every year. To make things interesting for visitors, you can enjoy the wildlife from a four wheel drive vehicle or in a hot air balloon. Moreover, you are also encouraged to participate in a walking safari which gives you the privilege of getting closer to the animals. Accommodation for visitors ranges from safari tents to campgrounds and lodges. Furthermore, the weather is favorable throughout the year. Which makes this destination ideal for visiting anytime. Ngorongoro crater is another African wildlife destination that offers a great experience to visitors. Located in Tanzania, this crater happens to be one of the seven natural wonders of Africa. It is estimated to be six hundred and ten meters deep and covers two hundred and sixty square kilometers. The formation of this crater was as a result of volcanic activity that took place millions of years ago. Ngorongoro crater is home to various wild animals such as cheetahs, African wild dogs, and even leopards. There are also lions, impala, and giraffes. Apart from this particular animal, there are also hundreds of birds species found here, and can be seen during the wet season. 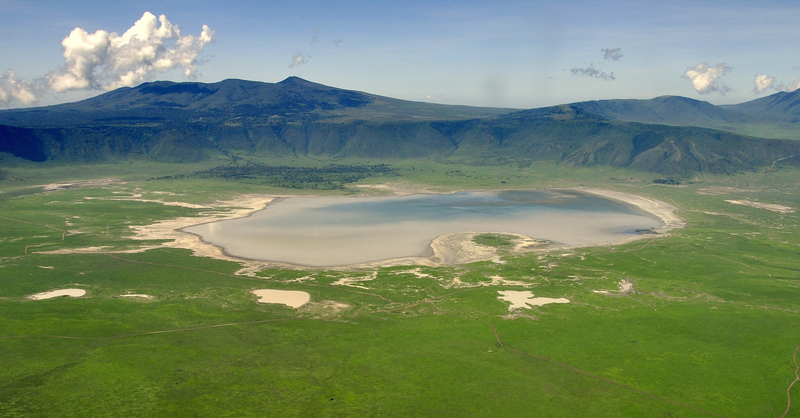 However, the best time to visit Ngorongoro Crater is during the wet or rainy season, when the visitors are few. Accommodation is well facilitated, and you can choose to spend the night in a camping tent or a luxurious lodge. The Serengeti is also among the top five African wildlife destinations. This amazing park is located in Tanzania, and it is one of the oldest national parks in this country. The Serengeti is used as a gateway for the great migration whereby four hundred and seventy thousand gazelles and at one point seven million wildebeest cross through here when making their way to the Maasai Mara. Apart from being part of the largest land-based migration, it is also one of the natural wonders of this great continent of Africa. Moreover, the Serengeti gives you the privilege of seeing various wild animals all at the same time during the great migration. Accommodation can be found from camping tents to luxury lodges. Visitors are allowed to explore the park during the night hours with assistance from a tour guide. Walking safaris start from early in the morning and end in the evening hours when visitors are safely returned to their lodge. Serengeti National Park is open to visitors throughout the year since the park has something interesting to offer during the dry season and the rainy season.